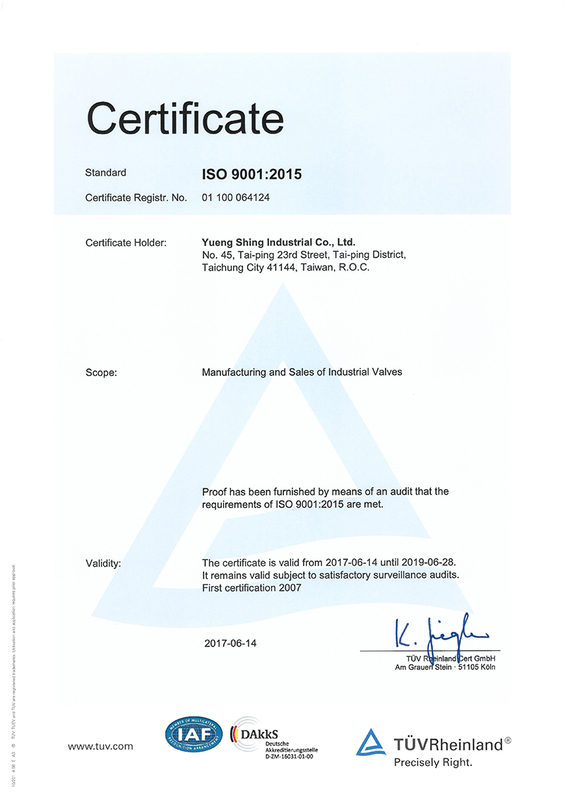 Founded in 1990, Yueng Shing Industrial Co., Ltd. manufactures and exports valves & pipe fittings for oil & gas, chemical engineering, petrochemical, food, beverage and refinery applications, including stainless steel, flanged, sanitary and 3-/4-/5-way ball valves; high pressure, butterfly, globe, check and gate valves; Y-strainers, stainless steel balls and fittings. 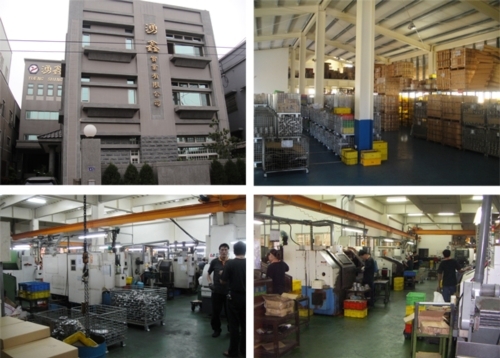 Headquartered in Taiwan with production, assembly, quality control & assurance, and customer service departments, we have experienced and skillful technicians to provide quality, competitively priced products delivered punctually with high-efficiency service. 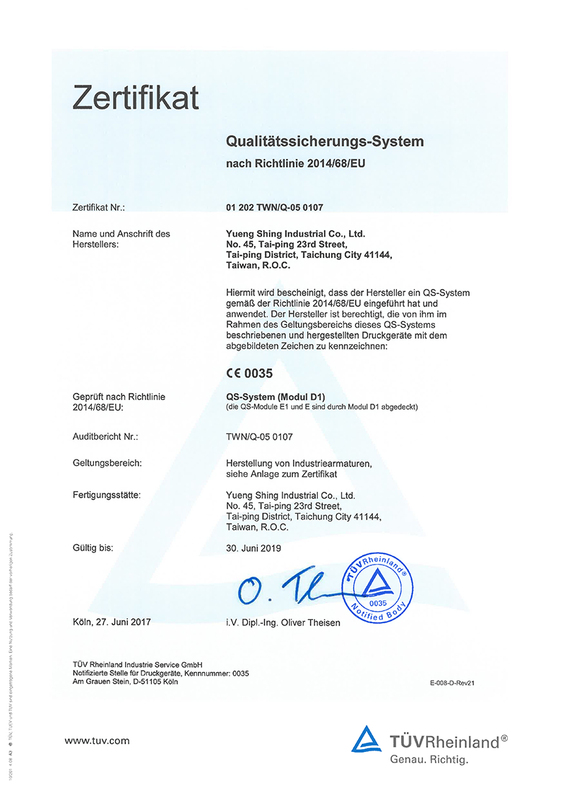 With outstanding capabilities in R&D, design and manufacturing, we are ISO 9001:2015 and PED2014/68/EU (CE) certified, supplying multi-nationally patented products that are always a step ahead of trends. We are your fast and reliable access to valves, pipe fittings, and associated solutions. Expect prompt responses to OEM, ODM or processing service inquiries. 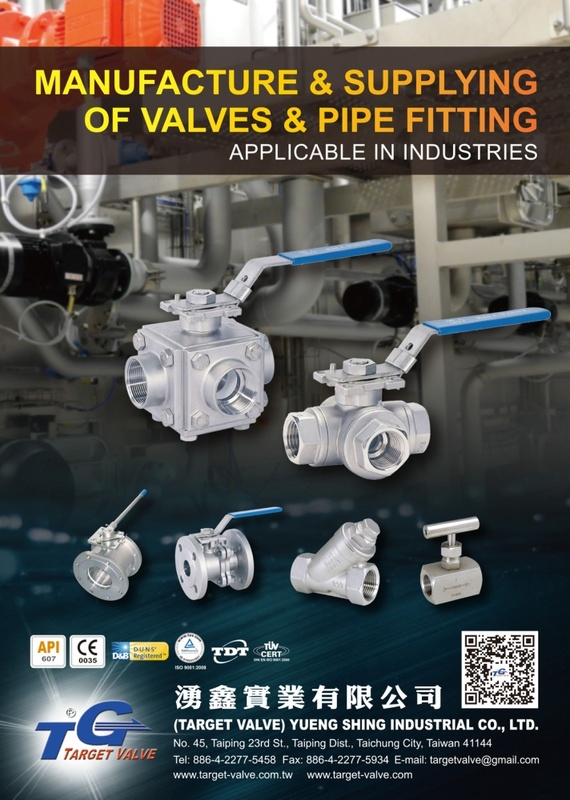 Check Valves, Safety Valves, Ball Valve, Stainless Steel Ball Valve, Gate Valve, Globe Valve, Y-Strainer, Valves, Accessories, High Pressure Valve, Stainless Steel Flanged, Hose, Plastic Part, Butterfly Valve, Global valve, Needle Valve, 3/4/5-way Flanged Ball Valve, Sanitary Ball Valve, Extended Bult Weld Ball Valve, Stainless Steel Screwed Fittings, ABS, EVA, HIPS, PC, PE, PP, TPR, P.V.C.